Want to know the time you just take a quick look at your mobile phone and will be on your merry way. Many people forget that the watch is not and never has been a mere time-keeping device; not even back in the 15th and 16th century when people first started carrying watches on their person. In fact, watches back then were were hardly useful when it came to telling their wearer the time because their verge and foliot tended to be so inaccurate that telling you the correct time was the last thing they did. It wasn't uncommon if it'd tell you it was two in the afternoon, when really it was already four. People back then wore them for exactly the same reason that many of us still do today: they are an expressive piece of jewellery. Several hundred years ago they were also an exciting novelty; something that most people could not afford and thus an incredible status symbol. 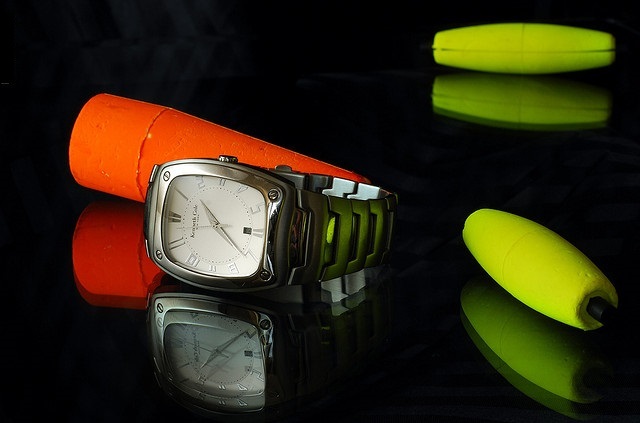 Watches came in the most imaginative shapes and forms. Flora and fauna inspired designs were very popular. In the 17th century the introduction of the waistcoat brought about the very well known pocket watch design. It conjures up the image of a fine gentleman, who keeps his golden pocket watch in his tailored suit. Most of us will associate this image with the upper classes of society and considering the history of the watch that is not at all surprising. A watch is as much a status symbol today as it was back in the days of its invention. There is a right watch for the right occasion. Whether you are after a sports watch or an elegant classic – brands like Fossil, Diesel, Skagen, Casio, Michael Kors and Ice-Watch are good starting points. A watch reflects our interests and our status and thus to some extent even who we are. A man can be judged by the watch he is wearing and should therefore choose his preferred model carefully. To give you an idea of the various designs out there you can check out Watch Depot. A good designer watch will never be outdated.